Your garage is a part of the house- you want it to look presentable and beautiful to leave your guests awestruck with its appeal. Aside from that, it also gives the benefit of having a safe place to park your car in, work as a storage room to keep some of your extra stuff in or simply being used as an extra room. Now, keeping in mind that, as this is an extra space that is a part of your house, you should also consider the necessary measures to keep it secure from unwanted break-ins. Building inspectors will check how secure a garage is when you’re purchasing a new home. Sure you can lock your doors and close your windows but never forget the risks of an unprotected garage. Statistics show that most break-ins have been made through garages-you can bet that your garage is going to be every robber’s lucky gateway into your house. If your garage is attached to your house or has valuable items stored in it, you will have to improve the security of your garage. If you are moving into a house with garage space, its best to get the ones with upgraded security. Portes de garage MB offers a wide range of quality garages that are upgraded with the best security systems. 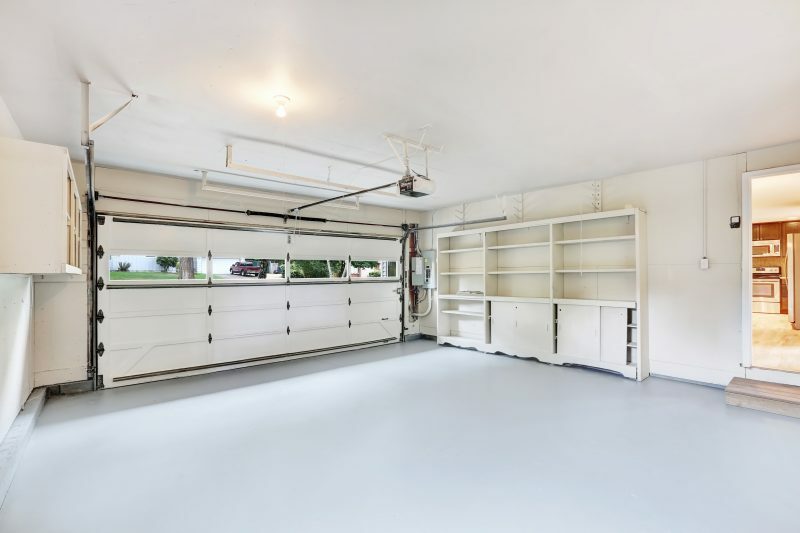 If you already have a garage, then we can provide you with some helpful tips to remodel your garage in order to keep it secure and safe in the near future. Generally, all home security systems start out with being connected and working for only the house itself- it keeps the house safe, but your garage is still exposed to the potential dangers of being broken into. Invest in better home security systems that have new and improved features that can stretch on and have the security of your garage under its surveillance as well. As a bonus, there are now ways where you can keep a check on the security systems by getting it connected to your phone. You receive notifications on your phone every time your security system picks up on any threat in the vicinity, within or surrounding your house. Another easy way to secure your garage is by replacing light fixtures with the ones that have motion detectors built in. This way, burglars won’t risk the chance to force open the door locks under the exposure of an open light. They won’t even have the chance to steal anything without being noticed. In fact, you should install motion detectors inside the garage as well. One of the reasons is that it would help in case one of your family members is exposed to any harmful substance or object in the garage and needs help, you can immediately come to their aid from being informed through the motion detectors. Another reason is that it works as an extra safety precaution- suppose your dealing with a pro thief that somehow manages to get past the detectors outside, there is always a chance that they aren’t prepared for the detectors inside hence, all the more reason to feel secure. As mentioned before, your garages also work as a representative exterior of your house. You decorate it and make it look better. One of the ways is by adding a few windows to brighten up the place inside the garage premises. However, these numbers can be quite risky- the more the windows, the more the chances are for a burglar to accomplish an easy and undetected robbery right under your noses. Hence, it is better to avoid installing in too many windows. Get a light source for your garage instead. Though, if you want the windows to be kept intact, then take the necessary measures to keep your garage secure. Cover your windows up or have them coloured in opaque because it can provide protection and some light can pass through it as well. This small and cheap item can become surprisingly useful in important situations. Automatic garage doors can be disabled and latched open but with efficient use of the zip-tie, not even you can find an easy way to pass through that within a couple of minutes. Simply keep it linked to a loop in the emergency latch which prevents the door from being pulled and opened. If the burglars can’t get your garage door to open, they will move onto your window as their next resort. Most windows are easy to pry into, even by breaking the glass if nothing else would work. Save yourself the risk of being mugged and install some bars into your window frames-they will be your ultimate shield alongside the upgraded garage door. Ready-made window bars can be bought but if you don’t want to spend too much money, you can make the bars yourself by either asking for advice from a professional or by looking up tutorials online. Being safe should be your number one priority at all times. Thanks to technology, we can keep an eye on our houses from miles away, to make sure thieves aren’t trying to break in. So it’s time we take advantage of technology and protect ourselves as well as our loved ones.